Christmas trees are cropping up and my heart is singing for joy. 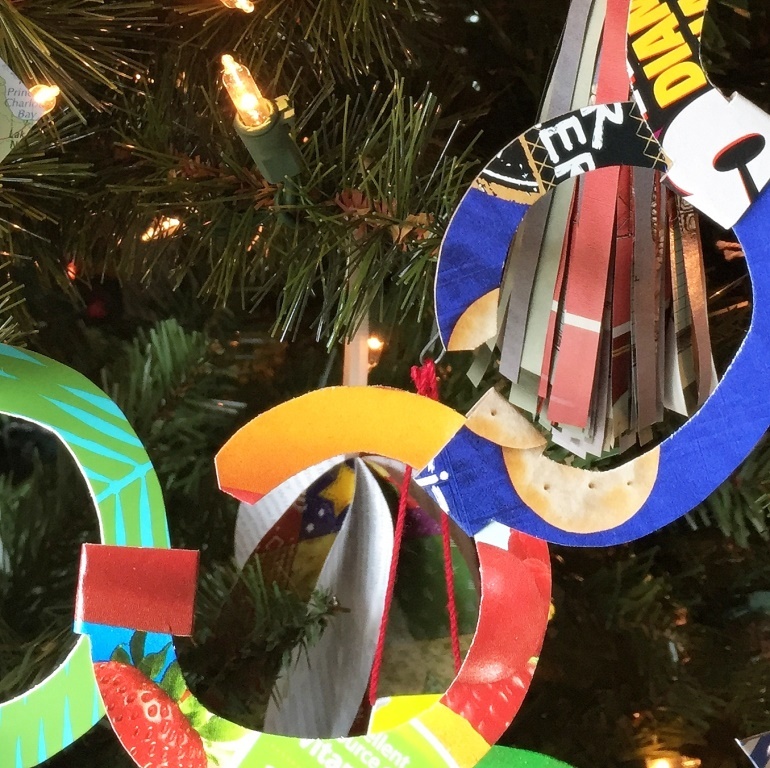 Some new crafty creations are adorning the trees this year. 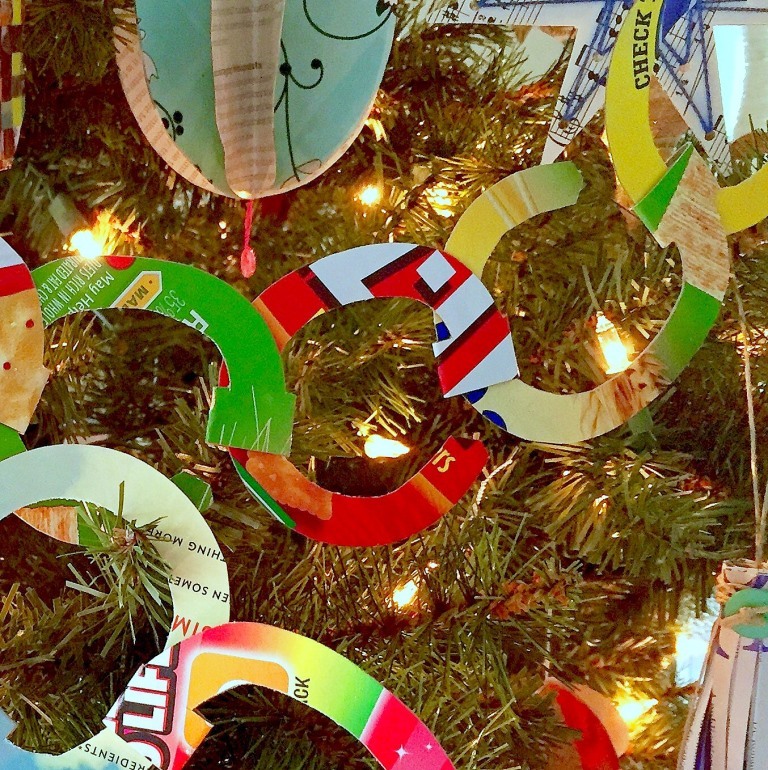 One of them is a new take on the old-school paper chain. I wanted to create a two-dimensional version, since most of my hand made tree decorations are flat, or have only a slight amount of relief. I haven’t seen this kind of a paper chain anywhere else, so I’m claiming it as an original design. And an even closer look. See how the circular links fit together? Here’s my link template and one completed link. 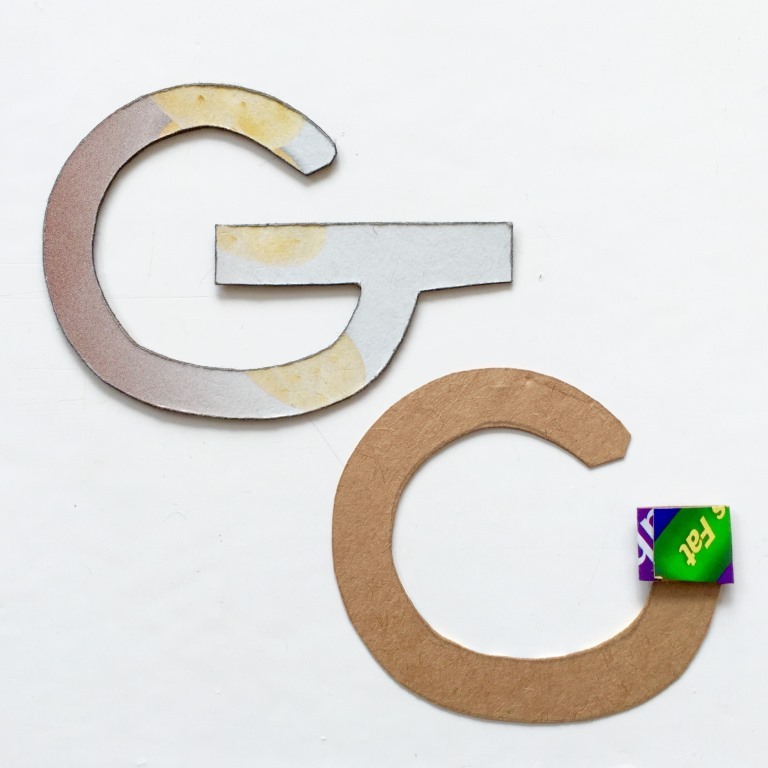 Fold the middle extensions behind the link and glue them together to form a sleeve. The open end of each link passes through the sleeve on an adjacent link. How simple! I use post-consumer paper, like colorful cracker and cereal boxes. Trace the template on the back with pencil, cut out and glue. 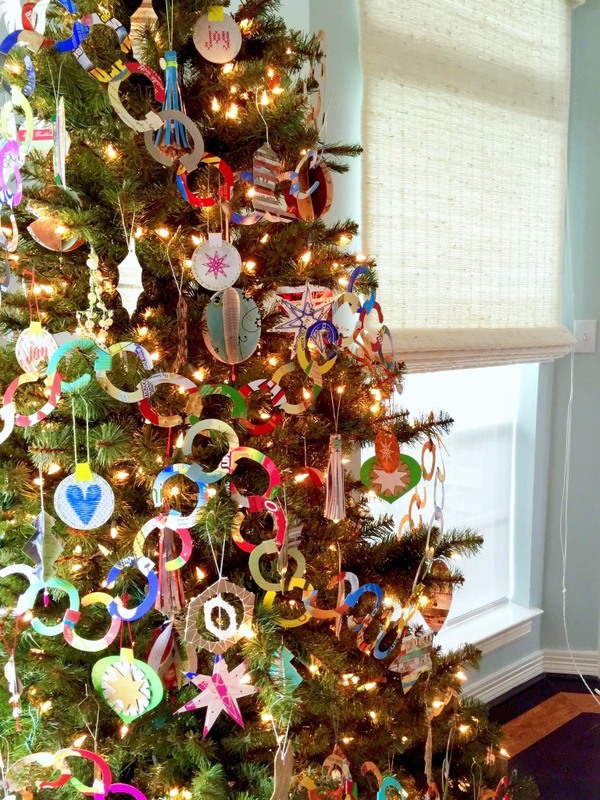 Then connect the links together and add to your tree for a colorful treat! I love glittery, expensive glass decorations just like everyone else … but honestly, the nostalgia of making Christmas tree ornaments brings back all that magic. 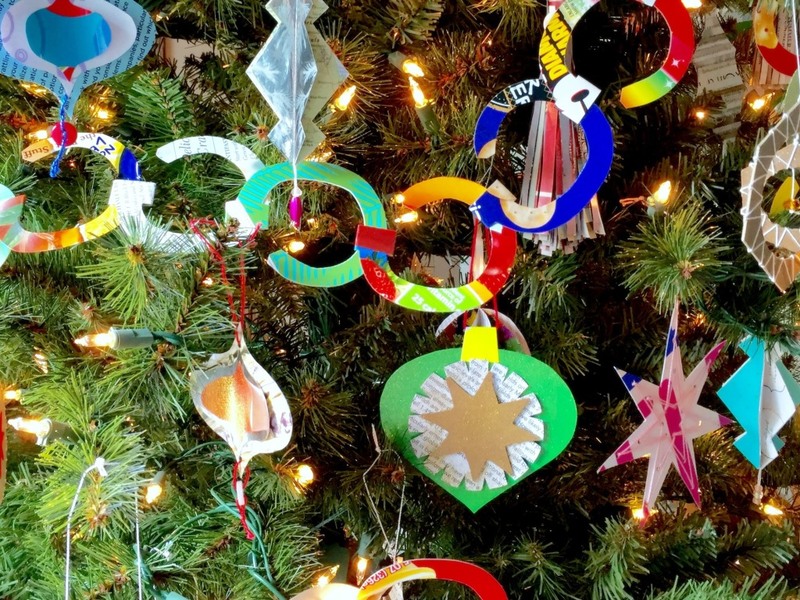 Hope your tree decorating season is filled with joy. ← Christmas in July giveaway! Diane, this is such a simple but adorable and festive little idea! Looks so cheerful on the tree, too! I’m going to try it at home and experiment with ways of using it — the flat orientation really maximizes the color saturation of the boxes! Love it!